Fletcher is a 9 year old, 3rd grade little boy from Centreville. 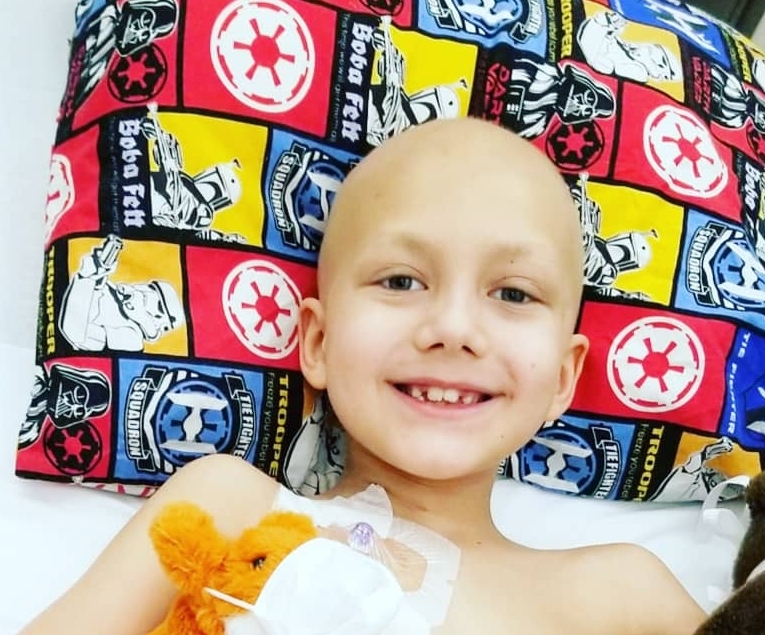 He is battling a Medulloblastoma, and has received radiation treatment at St. Jude and now is receiving intense chemo at Children's National in DC. Fletcher wants to be a biomechanical engineer when he’s grown, his college of choice is UVA! He loves archery for his "green arrow" abilities to stay sharp and his favorite subject in school is reading, as he LOVES to read. He has a fantastic imagination and is always curious. He is very compassionate and loves to help anyone around him. He was diagnosed a week before starting 3rd grade and was to start a new school. After a year of battling body crippling migraines and rearranging the whole family's dynamics and health plan, he fainted. Taking him to the ER the doctor did a CAT scan to find something that wasn’t meant to be there. Fletcher was airlifted to DC from Centreville VA and was set up for brain surgery. 9 hours after going under, they found the tumor to be not only calcified and new growth, but also it was attaching itself to the brainstem, as it had pressed it over into a curve. The tumor was the size of a large plum, growing they believe from an early age of 3 or 4. Our lives immediately shifted into an unknown and battle we never even could have imagined. HopeCam gave him the tablet and he lit up. He was ready to download and get going. Fletcher LOVES to learn and even more so, he was excited to finally meet his class! Of course the moment the class came into view and the sound was figured out, the whole class was curious of him and what had happened. They had questions and comments. It helped make Fletcher not feel lonely like he had been. HopeCam created that bond of happy whilst in the middle of a very difficult chemo treatment.